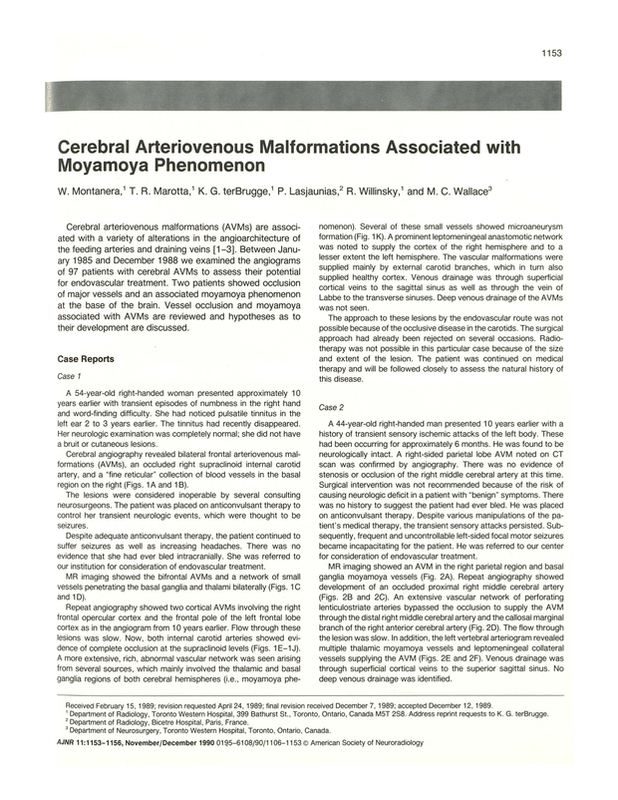 Cerebral arteriovenous malformations associated with moyamoya phenomenon. Department of Radiology, Toronto Western Hospital, Ontario, Canada. You are going to email the following Cerebral arteriovenous malformations associated with moyamoya phenomenon. Unilateral moyamoya disease with co-existing arteriovenous malformation.